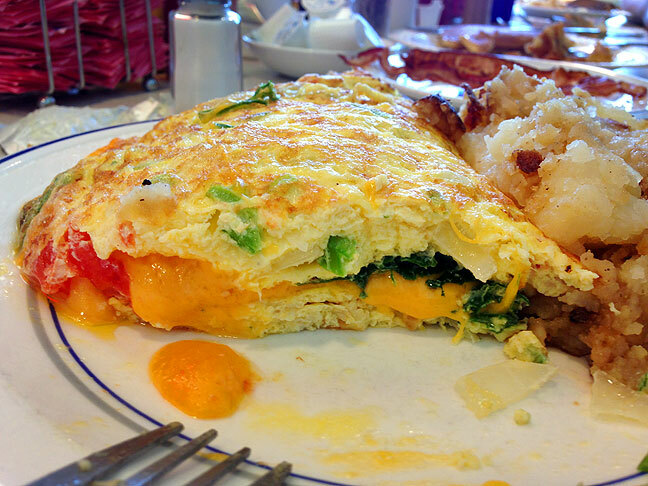 The breakfast at the Bel-Loc Diner in suburban Baltimore is one of my favorites, not for the food as much as for the mood. Wave-stalgia hit again this morning as I was looking over some of the images I made last summer in Baltimore. Everything was great – the trip to D. C., playing with the grandson, watching Tom’s Blu-Ray Star Wars stuff, dinner at P. F. Chang’s; the list goes on. 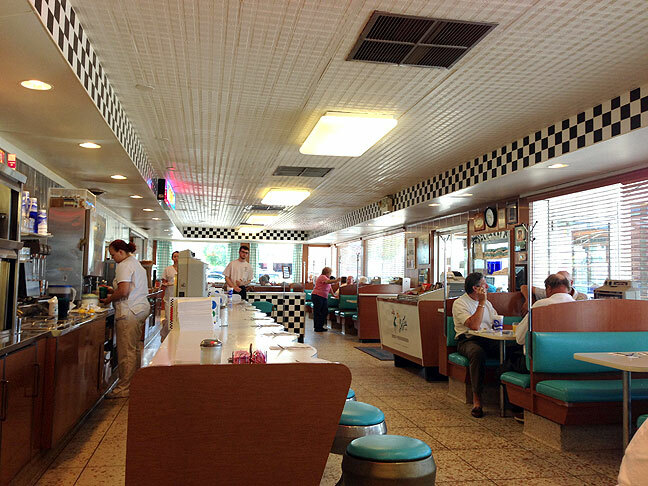 But my wave-stalgia was for a little café near Tom and Chele’s place called the Bel-Loc Diner. 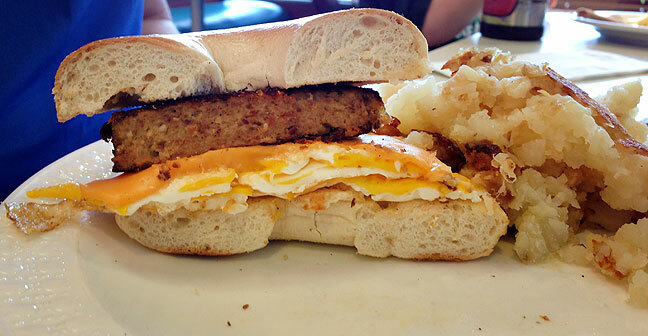 This is a Scrapple sandwich. As a vegetarian, I don’t eat Scrapple, which is made from scraps of all the other meats, but I hear it is great. In 2009, we stayed for almost a week in the Baltimore area when Tom and Chele got married, and our hotel was just across the street from the Bel-Loc. We probably had six or seven meals there. The place was always friendly, the service was always good, the decor was over the top, and the food was… hmm. It’s odd. The food was okay, I guess. It was a little bland, actually. So I don’t know exactly why I love the Bel-Loc so much. Maybe it just says “good times in Baltimore” in my head. I thought of all this today as I was plodding though some of my unedited images from our visit to Baltimore this summer. It’s not like me to leave a folder of photos unedited, but this was was cram full of pictures and got repeatedly back-burnered. So today’s Wave-stalgia is for the Bel-Loc. See you again soon, Dinertown! This view shows the dining area at the Bel-Loc looking south; somehow we always end up sitting on the north end. Wave-stalgia I like it, I talk about you and that trip a lot. This diner looks amazing so does that meal. Hugs to my Richard and Abby, two of the most precious people in the whole world!